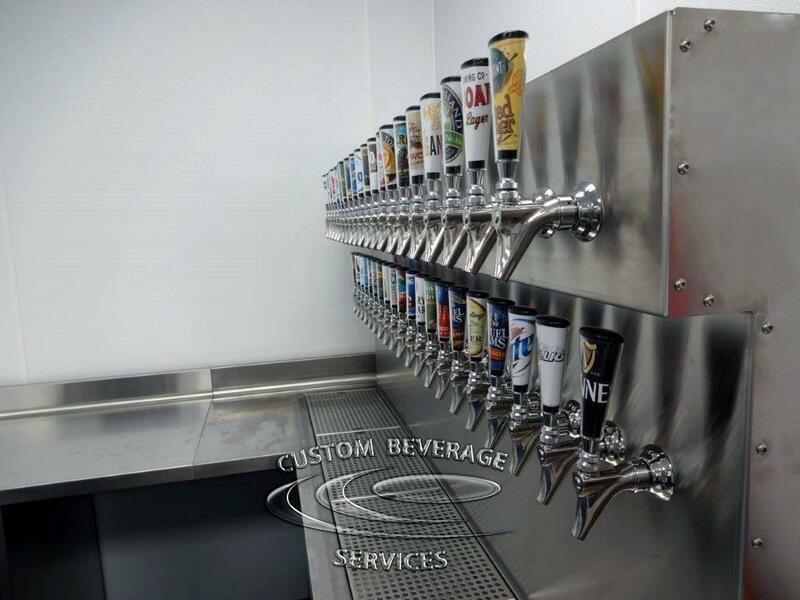 We are happy to unveil two new additions to our Custom Beer Tower Portfolio, which we installed at the new Tony C’s Sports Bar & Grill at 699 Assembly Row in Somerville, MA! The main tower is a 40-line system with a total of 80-Faucets, 40 on each side of the center island bar and features illuminated medallion branding. The back service tower is 40-Faucets, 20 over 20. Both towers also feature custom, stainless steel, recessed drainers. This will surely be a great place to enjoy a couple draft beers and take in the 90 or so TVs for your sports viewing pleasure!